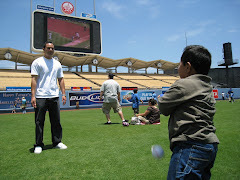 My friend Alex will be hosting another autograph signing at his office in Rowland Heights. This time the special guest will be former NFL Quarterback Vince Ferragamo. I will be there and so should you. Please come out and show your support. 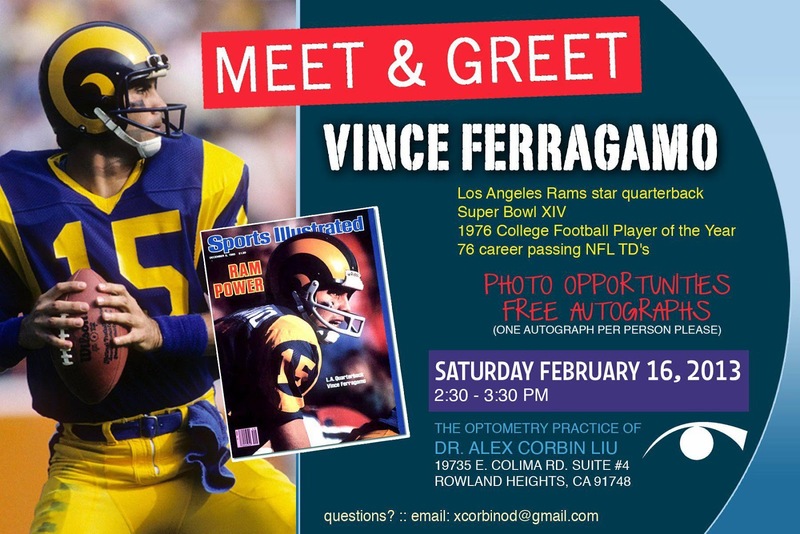 There are new details regarding the Vince Ferragamo appearance on Alex's Facebook page. Alex's Facebook page is linked here.